"You stay in this business long enough, you get jaded and cynical." The George Clooney directed The Ides of March is a good old fashioned adult, political drama. Its execution and presentation is admirable with an all star casts of misfits led by Ryan Gosling along with heavyweights Philip Seymour Hoffman and Paul Giamatti as political rivals. This is a man's movie in every sense, reminiscent of Glengarry Glen Ross. Also based on a stage play, Farragut North, the film portrays a critical period of an American Democratic presidential primary featuring director Clooney as the star candidate. A word of warning, this film will do nothing but confirm or deepen the jaded, cynical concept of American politics. Despite the liberal idealism of the characters and filmmakers, the film is far from an "ideological fairy tale". Loosely based on the 2003-04 presidential run of Howard Dean and no doubt partly inspired by President Obama's successful Whitehouse bid, The Ides of March explicitly reveals all the murky back dealing necessary to get elected to America's highest office. Unfortunately, most of the film's narrative (taken from the play) rests on the shoulders of Gosling's ambitiously motivated character, press secretary for Clooney. Gosling charms and propels the story well, but is unmatched during quarrels with Hoffman and Giamatti as his political opponents. The plot unfolds well enough with the usual intrigue, twists, and turns. However, the crux of the story's plot revolves around one majorly idiotic decision that never feels adequately justified or explained. Other mechanics and political maneuvering feel overly obvious to the audience but not certain characters who remain woefully unaware. There is a poignant moment in the film where actor Max Minghella (The Social Network) points out that experienced, veteran presidential candidates always inevitably lose to inexperienced newcomers in any general election, because voters prefer to hope and vote for the candidate they don't know who they feel is less corrupted by the system. Unsurprisingly, Gosling, Hoffman, Giamatti, and company all bring it in spades under the watchful eye and direction of the increasingly classical Clooney. There's no definitive "knockout punch" within the film. Instead, it laments on the horrid conditions with which American politicians must navigate in order to both win but inevitably lead to their downfall. 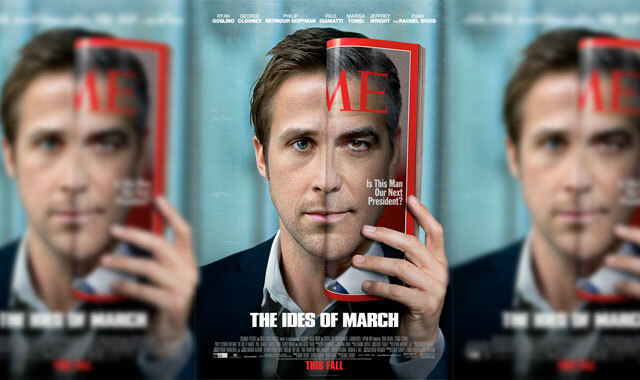 The Ides of March is an imperfect yet compelling political drama. However, precisely because American politics is so grey and murky, so is this film. Well shot and wisely minimally directed, the cast and fine acting are worth the dark storytelling, and mixed political messages alone.